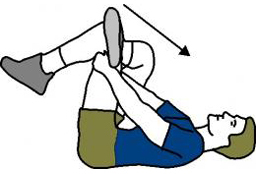 Welcome to MORE Physical Therapy's stretching guide for soccer. Stretching is an essential part of successful soccer. A good stretching routine can help to minimize muscle imbalances, prevent injury, improve your exercise tolerance and your soccer performance. 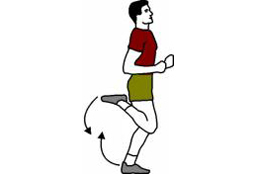 The following stretching program is designed for soccer players who do not have any current injuries or individual stretching needs. 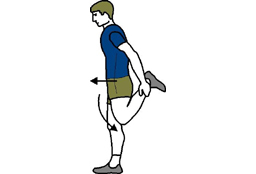 If you have an injury, or a specific mechanical imbalance that may be holding back your soccer performance, your MORE Physical Therapy physiotherapist can design a stretching program just for you. When your muscles are warm and relaxed! 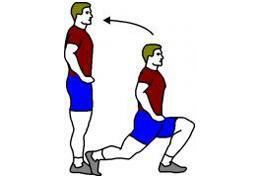 Stretch after you warm up (before your game) and after the game. 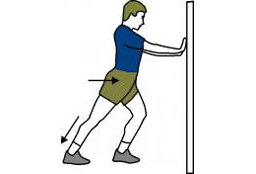 Some debate continues about whether or not stretching is of benefit before you exercise. If your muscles are warm and the stretching is performed correctly, then there is likely to be no harm in stretching before you play. 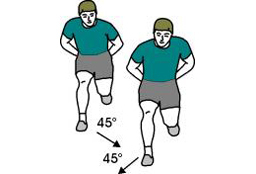 Jogging for at least five minutes (or some other whole body activity to get the blood flowing to the muscles that you are going to stretch and use). Passing the ball (short distances at first, then progress to longer passes). Shooting (short distances at first, then progress to longer shooting). Warm up your muscles first, then stretch while your muscles are still warm. You may feel light resistance in your muscles, but you should never feel pain during a stretch. 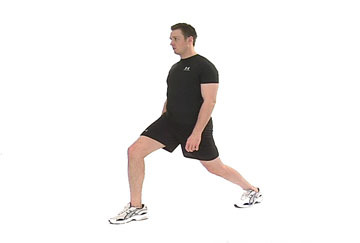 Start with slow, low intensity movements, and gradually progress to full-speed movements through range of motion. Complete these motions for several repetitions (10-15 times.) 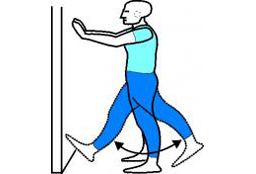 Follow the dynamic stretches with simulated cricket motions such as batting or bowling (not shown here) to specifically dynamically prepare the exact muscles that will be used when the match begins. Warm up the muscles first. Hold each stretch for 20-30 seconds. Repeat each stretch 3-4 times. These muscles are your prime movers for soccer. You'll need to stretch these muscles each time you train or play. Don't forget to stretch both sides. 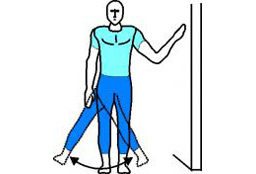 The stretching program shown below will take about 15 minutes to complete. Yes, I would like to receive newsletters from MORE Physical Therapy. Copyright (2019) MORE Physical Therapy. All rights reserved.